Have you litigated cases involving insulin overdoses? Insulin is commonly used to control the blood sugars of juvenile or Type 1 diabetics. It is a mistake to take this seemingly harmless drug for granted. 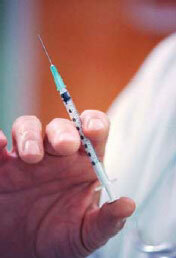 Insulin is one of the most dangerous drugs on the market if administered in an improper amount. It is ordered in units. The “U” in a handwritten order has been misinterpreted as a “0”. Ten-fold overdoses have occurred when handwritten orders have been misinterpreted as 100 units instead of 10 units. A dose of 100 units may critically lower a diabetic’s blood sugar, which if uncorrected, can result in death. The Joint Commission’s National Patient Safety Goals specifically require Joint Commission-accredited hospitals to ban the use of U as an abbreviation because of the risk of it being read as a zero. Children are at high risk for the ill effects of medication errors – they have little ability to survive a catastrophic medication error. The American Nurses Association and the American Nurses Association/California won an important victory involving administration of insulin to children by unlicensed personnel. The groups obtained a court order to stop the unlawful use of unlicensed personnel to give insulin to California school children. The effort to stop the practice was based on the premise that nurses who provided training and oversight to unlicensed personnel were at risk for disciplinary action by the state board of nursing. The administration of insulin by unlicensed personnel violated the Nursing Practice Act. The judge who issued the opinion in November 2008 stated that the Department of Education did not have concurrent authority over the administration of medications and could not override the Nursing Practice Act. Med League has assisted many medical malpractice attorneys with cases involving medication errors. Contact us for a deep medical analysis of your case.